If you haven’t tried NBK Designs products then this is a perfect time to try them using Wildflowers Out of the Box Art Frames. 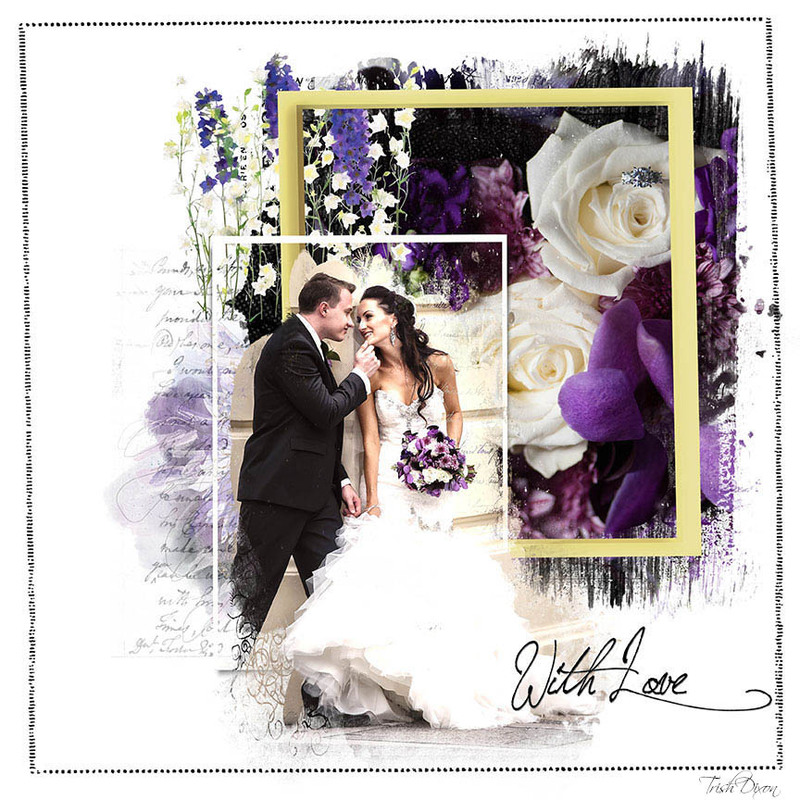 It has all you need to make an artsy page like this one for wedding photos. 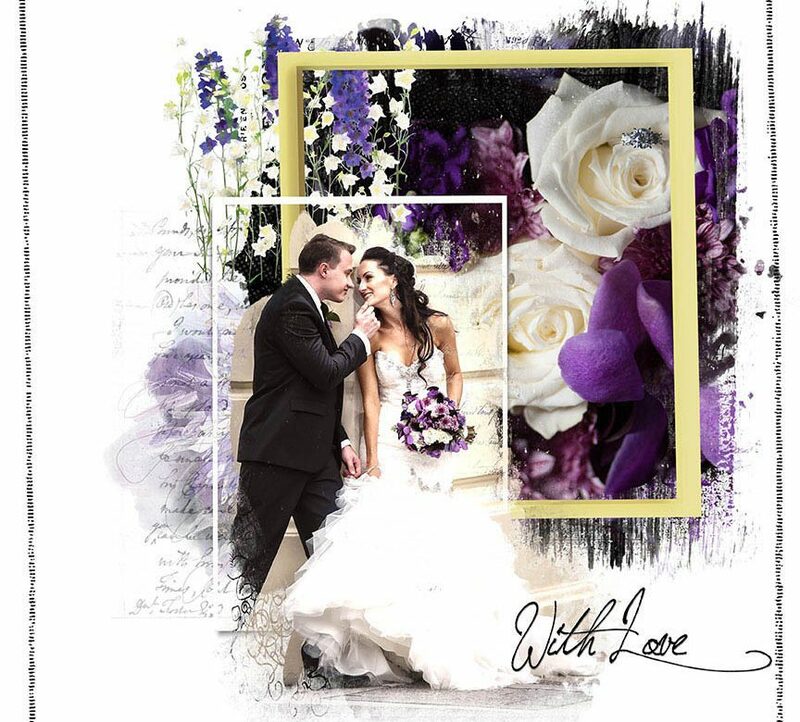 I have used a photo from my friend’s granddaughter’s wedding. I think you’ll agree that you won’t go wrong using NBK Designs.